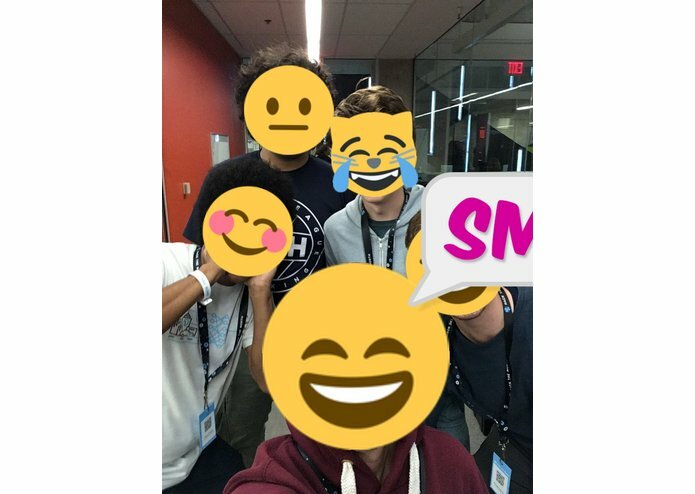 Twitter bot that adds Emoji to all faces in photos it receives. @TweetMe4Moji adds Emoji to pictures and selfies it receives. 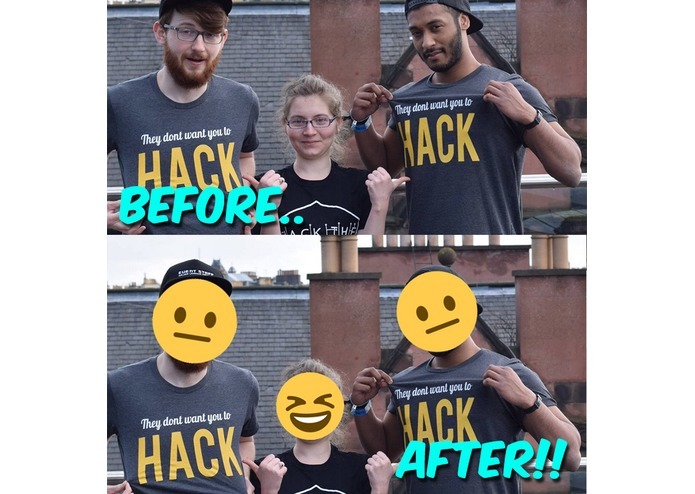 It analyses the emotion of every face in the photo, and adds matching Emoji. That's about it, try it out! 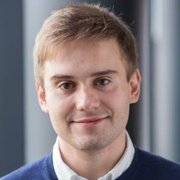 Our bot uses the Google Cloud Vision API to recognise the position, orientation and emotion of every face. Knowing this information, we overlay random emojis matching the sentiment of each face using Graphics Magick. 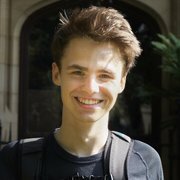 Our code interacts with Twitter in real time using the Twitter API. This technology could be used for more than just millennial social media fun. 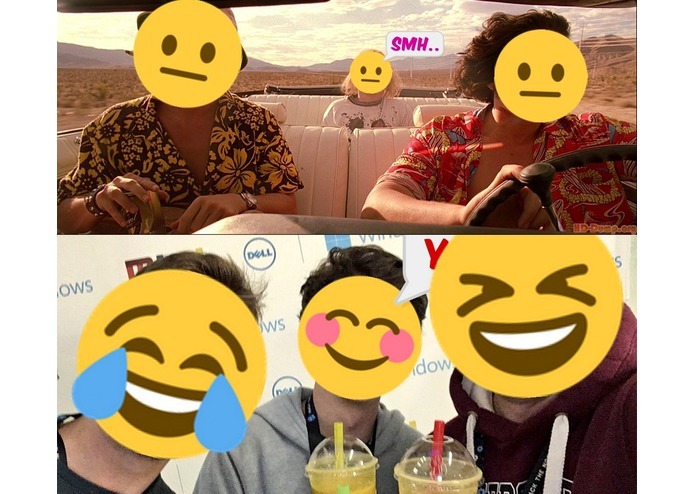 Swapping out faces for Emoji can be used to sensor people's faces while still relaying each subject's facial expression.